Matthew Ryan, director of the Pollock Theater at the Carsey-Wolf Center and host of the Script to Screen series gives us the inside scoop on snagging red carpet interviews with some of Hollywood’s biggest stars. The UCSB Pollock Theater student staff was granted red carpet press access to the 2013 Santa Barbara International Film Festival for our Script to Screen: On Location show. It was a rare opportunity for students to be able to shoot interviews with stars such as soon-to-be Oscar winner Jennifer Lawrence, soon-to-be Oscar winner Ben Affleck, David O. Russell (writer/director of Silver Linings Playbook), Oscar nominated producer of Silver Linings Playbook Bruce Cohen and many more. The students got first hand experience in the fast paced nature of red carpet interviews, having a limited amount of time to shoot them before the star moves on to the next interview. The students also learned how to block desperate, unprofessional photographers from photo-bombing our precious interviews. In the end, the interviews were successful and the students had wonderful production reels to include in their resumes. Our student work has such a positive response from the interviewees of the Santa Barbara International Film Festival, we were granted another red carpet press opportunity at the 2013 Writers Guild Awards to interview the top screenwriters of today. Also, our interviews of Jennifer Lawrence and David O. Russell led to us to getting a WGA red carpet interview with Jacki Weaver, the Oscar nominated supporting actress from Silver Linings Playbook. Script to Screen: On Location and the Pollock Theater student staff look forward to more red carpet interviews for the upcoming 2013-2014 season. 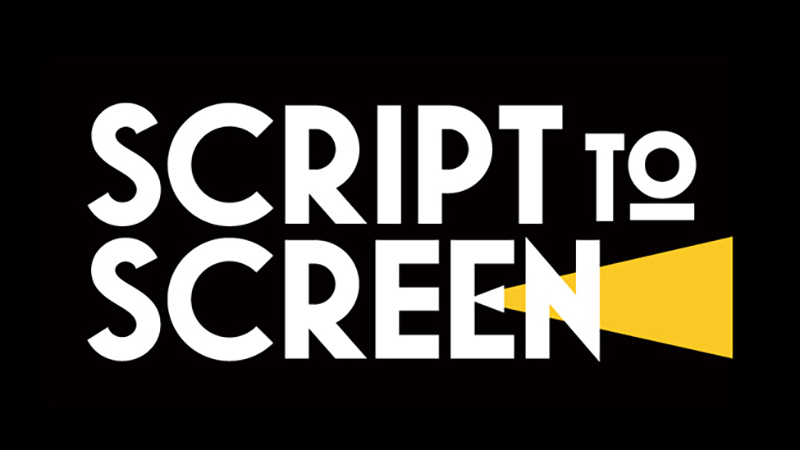 Watch these and other Script to Screen programs on our online video archive.